Plumbing gets clogged it is a fact of life. At one time or another someone’s kitchen sink or toilet gets clogged. These are pretty easy to handle, a plunger to both usually does the trick. But what happens when you have a bathtub that is clogged. Chances are a plunger will not be able to fix that. Though you can try. 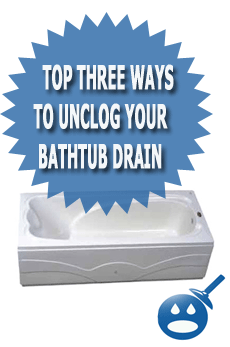 Here are some step-by-step instructions on how to unclog your tub with Liquid Plumber. Hair clogs are the worst kind. They cannot be plunged so easily. So now you have to take the next step. Liquid Plumber is the best on hair clogs. It is rather inexpensive compared to calling a plumber. You can try to bail out as much water as you can from the tub. The reason why you do this is so when you use the liquid it won’t float back into the water. After you bailed out the water, pour about half of the bottle into the drain. You will need to run hot water into the drain for a minute, Leave in the drain for about 20 minutes.After 20 minutes the water should have drained. But sometimes the hair can be pretty stubborn. If the clog doesn’t clear up. Repeat the process. Sometimes you will need the entire bottle to unclog a bathtub drain. 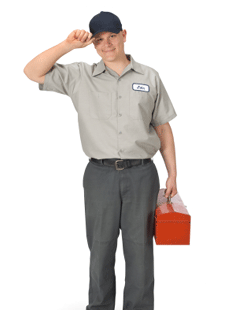 You may have to use a wire hanger and feed through the drain and try to help the Liquid Plumber work. Feed the hanger through the drain and poke through the hair, you may be able to bring some hair up. To prevent this from happening, make sure that you have a drain cap in the tub. Buy the kind that the holes are no too big and they will stop hair from going down the drain. After a shower, if hair is accumulating near the drain, clear it out before it has time to down the drain. Just to be on the safe side, always clear out the small pieces of soap that fall into the tub.